As a municipal clerk, your enemy is the clock. You have a slate full of responsibilities and live in a deadline-driven environment where you are perpetually working to pull documents, content, agendas, minutes, and other vital materials together before the next meeting, or respond to citizen requests expeditiously. One way that municipal clerks can expedite the agenda creation process and help to ensure well organized and efficient meetings is through the use of a consent agenda. This time-saving tool streamlines routine meeting item approvals and frees up meeting time for the discussion of matters that require the greatest amount of attention and deliberation. A consent agenda (also known by Roberts Rules of Order as a “consent calendar”) groups routine meeting discussion points into a single agenda item. In so doing, the grouped items can be approved in one action, rather than through the filing of multiple motions. Think about the amount of time that is spent at each meeting reviewing and approving routine, recurring items that do not require debate or discussion. Now imagine if you could group all those topics and approve them with one action. Depending on the length of your agendas, you could save as many as 30 minutes at each meeting that are typically spent filing motions for routine items, and reallocate them to discussing more critical topics that require debate and team planning. That is the time-saving power of the consent agenda. 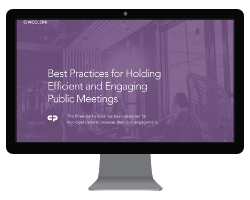 With such improved productivity, your local government meetings will be optimized for their real purpose: discussing how to move forward on initiatives that will impact the lives of your citizens and constituents. Before using a consent agenda for your next meeting, your administration must adopt a rule of order that allows the use of the consent agenda process. This one-time logistical step will save you countless hours throughout the year once you begin using consent agendas to streamline meeting discussions and item approvals. All documentation associated with consent items must be provided to meeting participants in advance so that they can still make an informed vote on all grouped items. Team members must review the documentation before the meeting to ensure that they are informed of the issues that are to be passed as part of the consent group. Meeting members must be given an opportunity to ask associated questions—and have them answered—before the vote. Questions and answers should be shared with all meeting participants. Simple questions, clarifications, or short amounts of dialogue relative to a consent item may be discussed after the motion, but before approval. What is important is not to remove consent items entirely from the consent agenda for the sole purpose of answering a simple question, as this would undermine the efficiency of the consent agenda process. On meeting day, include the consent agenda as part of the meeting agenda, or as a separate agenda document. At the start of the meeting, the meeting chair should ask meeting attendees if anyone wants to discuss any of the items listed on the consent agenda. If it is determined that an item on the consent agenda requires discussion it must be removed from the consent portion and addressed individually. For future meetings in which there is no question or concern over the item, it may be placed back into the consent portion of the agenda. An item from the consent agenda must be moved at the request of any team member if the individual wants to vote against the specific item—as the item no longer has the consolidated approval of the team. This discussion step is critical, as consent agendas may not be used to force the approval of items through the use of a process that eliminates their individual review. The meeting chair must read aloud the remaining consent items and may move to adopt the consent agenda as a whole. It is not necessary for a vote to be taken on the consent agenda. Instead, the items may be approved, pending the absence of any objections. What Types of Items Should be Included in the Consent Portion of the Agenda? It is important for all team members to bear in mind that local governments should not sacrifice transparency and accountability for the sake of expeditious time management. With the use of a consent agenda, it is imperative that members still review all corresponding documents, ask clarifying questions before the meeting, request discussion when necessary, and pull items that one feels he cannot approve. There are efficiencies to be gained from consent agendas as they can be used as a tool to free up meeting time for discussion on valuable, impactful topics, but only when used correctly and when proper attention is still paid to each included item. Looking for more time-saving meeting management tips? Agenda and meeting management software can help you efficiently manage transparency documents and automate the packet creation and content review process. Click below to sign up for a demonstration of CivicClerk® . Part of the integrated CivicPlus® suite of government technology solutions, CivicClerk is the fastest, most intuitive way to automate agenda management, meeting minutes management, and the sharing of meeting content with board members, staff, and your citizens. As the General Manager of CivicClerk, Doug understands the challenges associated with managing various boards and committees and the ever-changing role of the clerk’s office. 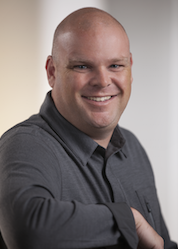 Doug has over 15 years of experience in designing software solutions for local governments and special districts. He was the Founder of FOIA Systems and Co-Founder of SuiteOne Media and BoardSync. BoardSync was a leading meeting management platform for cities, counties, and special districts. BoardSync recently joined the CivicPlus team and is now CivicClerk.